This 16 week course is designed for the individual that plans to pursue a career in the Heating and Cooling field. The HAVC course prepares and gives you the ability to successfully obtain the EPA license and the 410A. Material covered includes all aspects of HVAC from sheet metal to installations and servicing units. 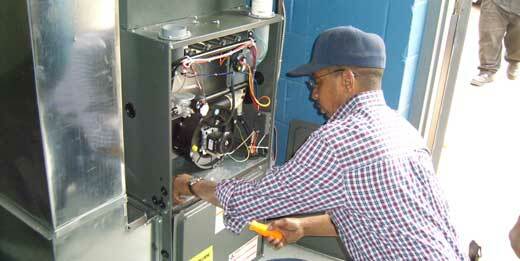 This course will use both the theory and the practical applications of HVAC through hands on training. Students will receive a set of HVAC tools that are necessary for this course.